You will still get a 100% refund within the 30-day window if you wish to cancel. There is no reason given by BlueHost for the change, I learnt about it in an email today. This may alter the picture slightly if you are looking to setup a blog or other type of website to make money from. It makes the options of monthly payments at other web hosts something to consider. 1 What is a prorated refund? 2 What affect does BlueHost’s hosting refund policy have on you? It is when you get a refund based on how long you used the service for. 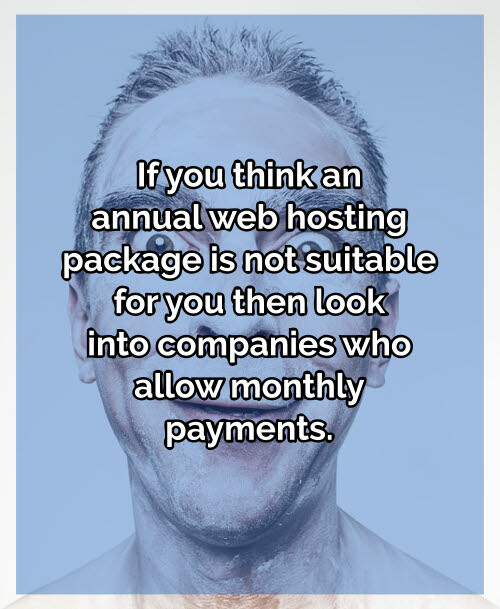 As an example; if you purchased a web hosting package and paid for 1 year but decided to cancel after 6 months, you would get half of your money back. This policy previously gave you a nice safety net. It will no longer be in place meaning if you cancel after 30 days you won’t get any money back. This change brings BlueHost in line with companies like GoDaddy and HostGator who already have the policy in place. What affect does BlueHost’s hosting refund policy have on you? If you run your own website to make extra income, or are thinking of setting up your first website, it’s worth considering monthly payments if you aren’t too sure how things will go with the website. However, at this time BlueHost don’t allow you to pay monthly for a package. The minimum is a 1-year term. If you are committing to a website for at least a year then it makes no difference. The current BlueHost packages will do the job nicely. If you want to go a different route then here are some considerations. You can try other popular hosts like HostGator who do allow you to pay monthly. Over the long-term it would work out a bit more expensive if you go on a monthly plan. That’s the downside. The big upside is that if things don’t go how you expect then it will be a lot less costly to cancel. There’s no point paying for an annual web hosting package if you will know within 6 months whether your new website will be worth carrying on with or not. I’ve been running my own websites for 10 years and had many failures. Unfortunately it does happen and there are a few times I’ve wanted to cancel hosting plans to bring closure to the project and move onto the next venture. If the only reason you can’t pay in one go is because you have cash flow problems right now then BlueHost do allow you to pay by credit card. Put the cost on your credit card and then you can pay it off at your own pace. This news won’t affect most people. Every new website is different and you need to consider your options and choose which company is best for you. It was lucky the policy was in place for a while, it’s a shame they’ve brought it in line with other companies but it’s understandable. No monthly payment options is a shame. Work out a plan for your new website and pick the web hosting package that is right for you. That will give you a good base to give yourself the best chance of succeeding. After a failed attempt to cancel my renewal (due to some unknown issue) Bluehost have failed to honour their money back guarantee, stating yet more technical issues. They could neither explain the problem nor give even an estimated time frame for my refund, refusing to narrow it down to days, months or (shockingly) even years!